Zakary Pelaccio and Jori Jayne Emde left New York City to pursue a more idyllic life in the Hudson Valley. When the couple have the occasional break from their restaurant, Fish & Game, they host grilling parties. 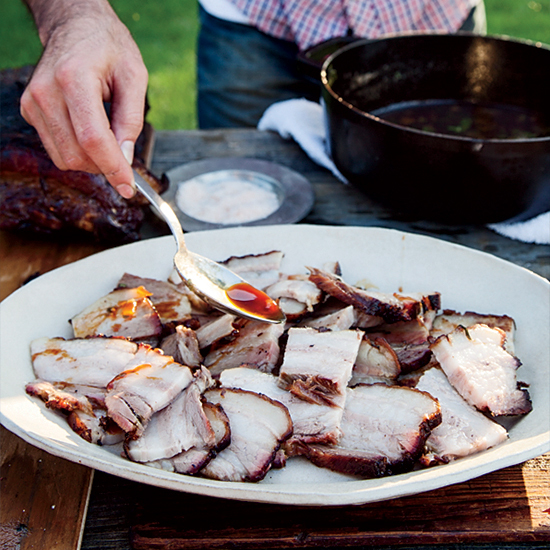 Here, their best summer recipes, from pork belly with rhubarb glaze to Russian cream with strawberries. 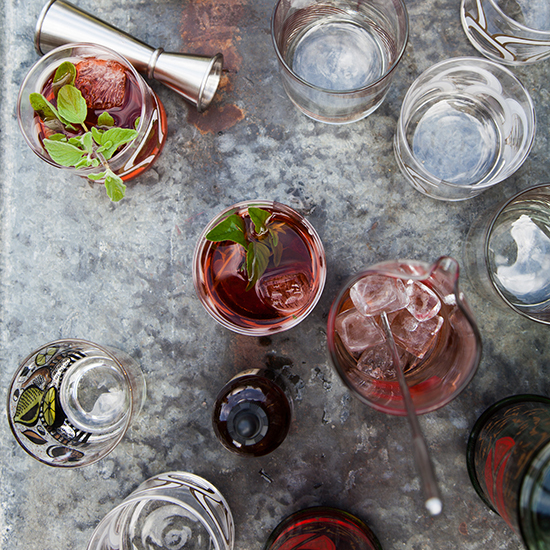 To put his own spin on a classic Negroni, chef Zakary Pelaccio garnishes the cocktail with a sprig of oregano from his garden. 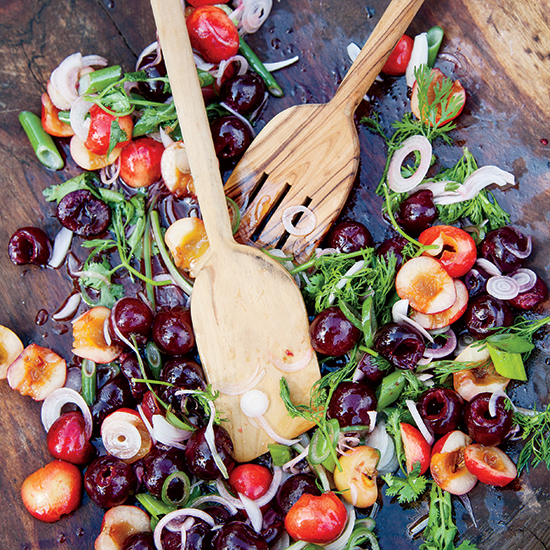 Bright, fresh and exceptionally simple, this five-ingredient salad from chef Zakary Pelaccio is a perfect way to highlight supersweet cherries. 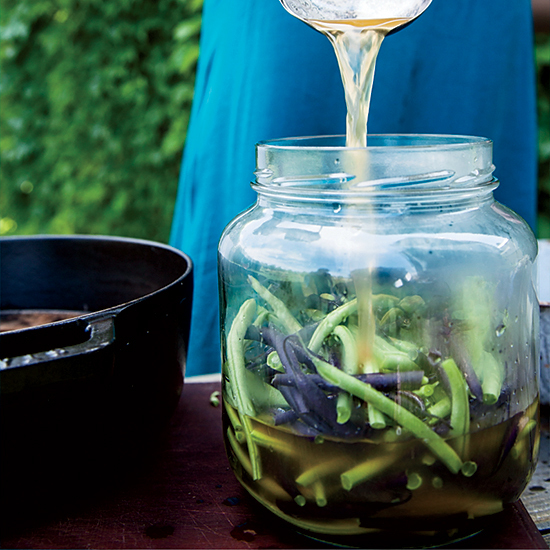 These pickled green beans, made with white wine vinegar and lots of dill, require just 15 minutes of hands-on work. 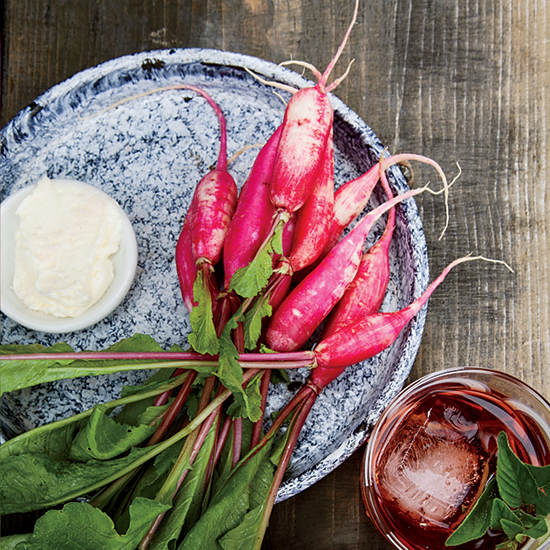 This lightly whipped dip from chef Zakary Pelaccio is a delicious twist on the classic French radish-and-butter pairing. 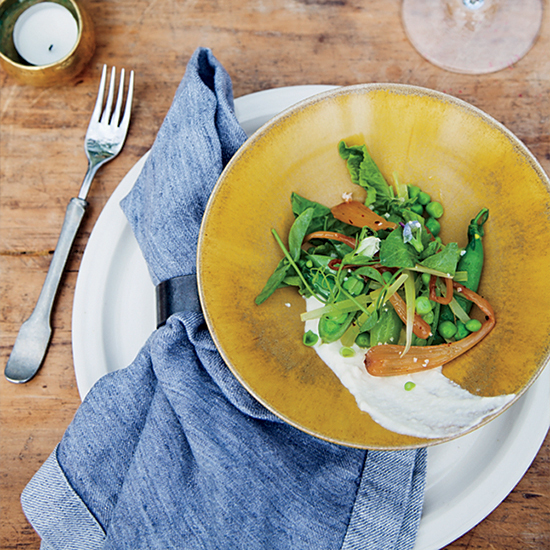 Chef Zakary Pelaccio likes using spring onions (or ramps) to make a quick kimchi, which he serves alongside creamy ricotta—an unusual but compelling combination. After brining pork belly, chef Zakary Pelaccio slow-roasts the meat until it’s tender and crisp, brushing it with a deliciously sweet and tangy rhubarb glaze. 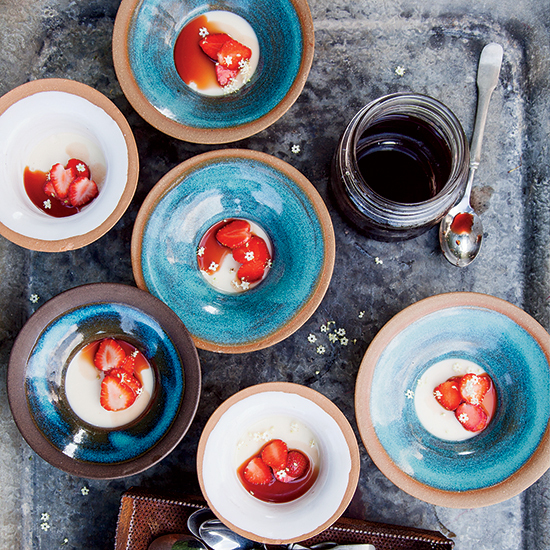 This thick, creamy, custard-like dessert from chef Zakary Pelaccio is topped with sweet strawberries and a tangy maple-vinegar drizzle.